The Southwest FFA Chapter attended Area Banquet at Cassville on February 22, 2018. There were eight students from the chapter who received awards. Caitlin Blevins received first in the Wildlife Management Proficiency and third place in Outdoor Recreation Proficiency. Kendra Hayworth received second in the Poultry Production Proficiency. Leland Colf received third for Small Animal Production and Care Proficiency. Heather Windes, Shaylin Hendrix, Tim Bee, Maggie Patterson and Jacey Ball all received their area degrees. 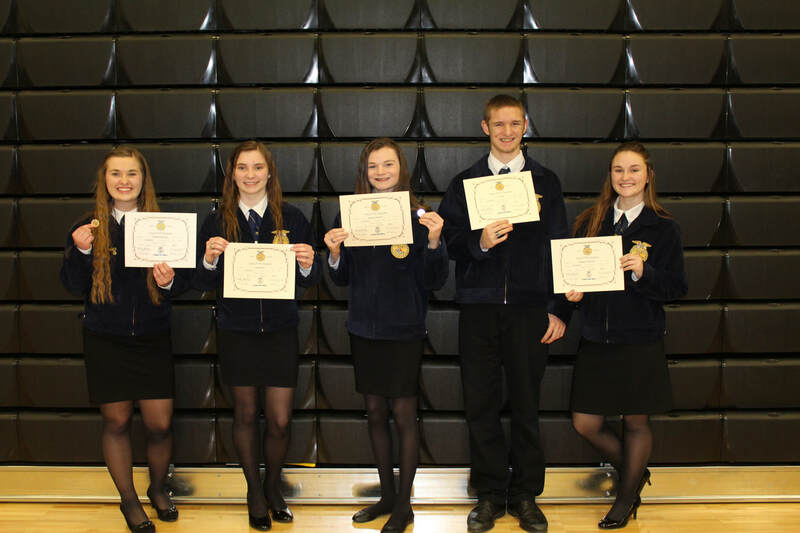 Southwest FFA members who received their area degrees are pictured above, from left to right: Heather Windes, Jacey Ball, Shaylin Hendrix, Tim Bee and Maggie Patterson. 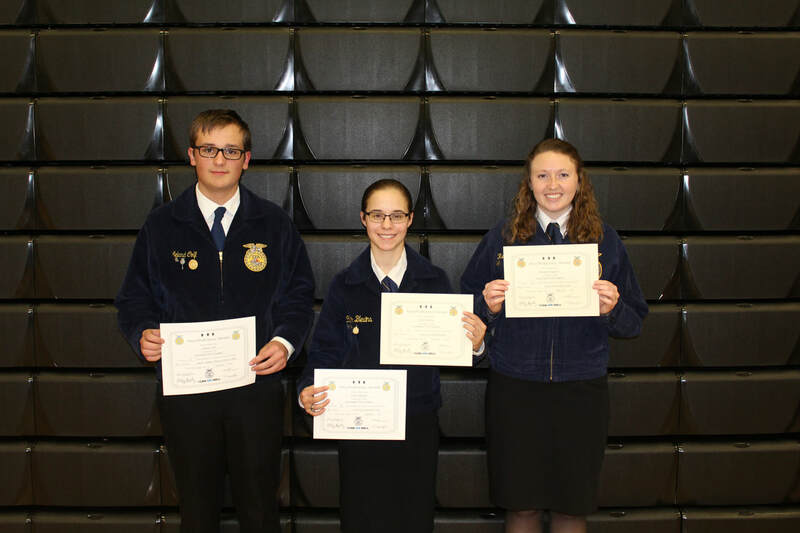 Southwest FFA members who placed in various categories are pictured above, from left to right: Leland Colf, Caitlin Blevins and Kendra Hayworth.